Updates and lots of WordPress updates, that’s one good thing and bad thing about WordPress. Good, because our WordPress blog gets a more new feature, bad because we have to get into the technical hassle of updating WordPress. Though we offer a safe WordPress update service, but if you are technical and can handle it yourself, updating WordPress to the latest version is quite easy. In this guide, I will be sharing a quick guide on how to update WordPress and what tools you should be ready with if WordPress update breaks your site. WordPress releases a major version upgrade after every 3 months (At least they try to), and the major problem comes with theme compatibility and plugin compatibility. Until, unless it’s not a security update I recommend to wait for a week to know about the known issues with latest updated version and in most of the cases in the past, we see an immediate updated version of WordPress, which fixes the major know bugs and any other issue which could break your site structure. Also, if you are using an outdated plugin, I would recommend you to try it in your local environment using tools like instantwp and see if your old age plugin is compatible with the latest version or not. If not, you can always hire a coder from a site like freelancer.com and get someone to make your plugin compatible or rework on your plugin from scratch. Along with this, I recommend you to take a complete database backup of your WordPress (Wp db manager plugin) is the best and for being on the safest zone, take a backup of your theme locally. If you are using a theme like Thesis, they offer options to download all theme option settings, which will be handy if WordPress upgrade fails and you need to rollback to earlier state. Also, keep FileZilla or any other FTP client of your choice handy with you, as it will quickly help to fix any bug which comes while updating WordPress. Also download the latest version of WordPress, as if automatic upgrade fails, we need to manually fix our site via FTP. Though such cases are less but I’m sure you would not like your WordPress website to be down for any of such reasons. Better to be safe than sorry! Is int it? 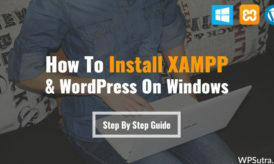 There are manual and also the automatic way to upgrade the WordPress. 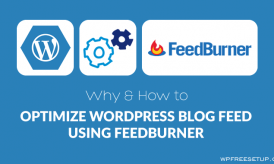 Needless to say, automatic way (from the dashboard) is the quickest and hassle-free way to upgrade WordPress. Though, in some cases where hosting doesn’t allow WordPress update from the dashboard (Asks for FTP information) or when you are updating from oldest version 2.4+, 2.7+, you need to take the route of manual WordPress upgrade. You can read a guide on doing manual update here. 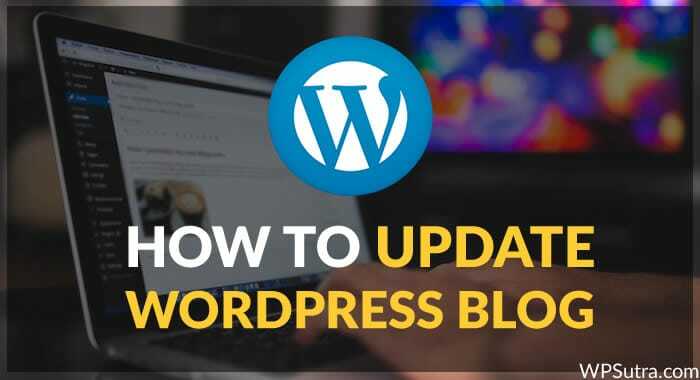 In this tutorial, I will be telling you about the easiest way to update your blog to latest version of WordPress, and if you wish to get notified for latest releases of WordPress software, you can join us on Facebook or better subscribe to Email newsletter. If your blog is not using latest version of WordPress, you will see a notice saying WordPress *.*. * is available, please update now. You can either click on update there or simple click on dashboard > Updates from right sidebar and see all available updates for your blog. That’s it and now go ahead and update all the plugins too and if your theme has released an updated and compatible version of latest WordPress (Usually happens in major upgrades), simply update your theme too. Most of the people make mistake by not updating their blog as they believe what’s the point of updating when everything is working fine, but it’s a wrong approach as older version of WordPress sites are very prone to hacking and malware injection. If you still have any query regarding how to update WordPress, feel free to let me know via comments.